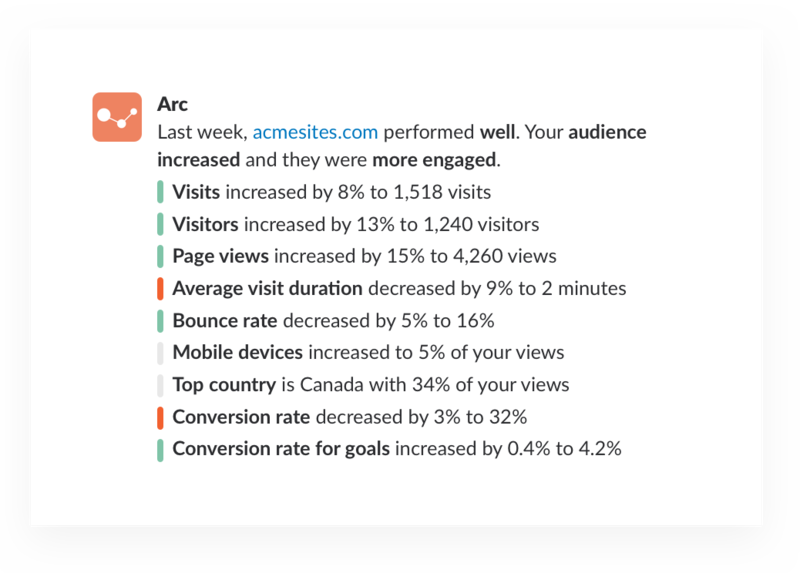 Every team within a company can benefit from analytics and performance reports. This information can be vital to improving your website and products, figuring out what connects with customers, and what are areas for improvement. 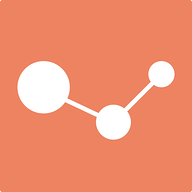 To set up your Google Analytics Slack integration, configure your account in Arc or Statsbot to connect to your Google Analytics account, and install the Arc or Statsbot apps to your Slack workspace. Determine which channels you’d like to reports posted in. 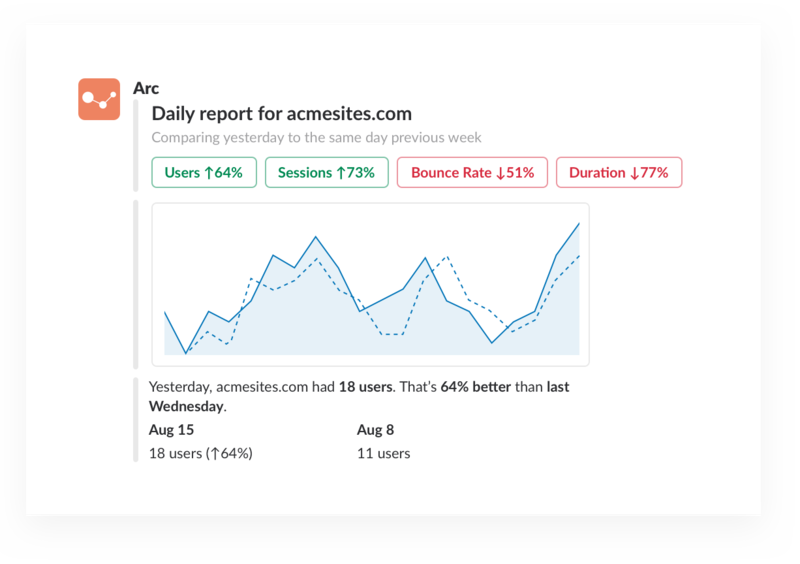 Configure the duration (daily, weekly, monthly) for reports. View reports in channel and use threads to discuss results and collaborate on any possible improvements.